At Eco Efficient Chester, we are focused on providing first class boiler and central heating installations, repairs, and servicing. We have the best service offering you cannot find anywhere else. 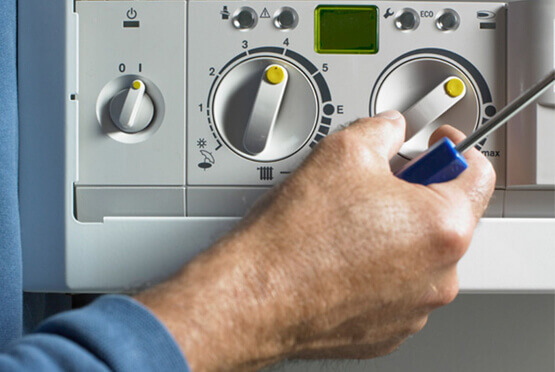 We understand the frustration caused by boiler and heating problems in winter. We make sure that our customers get fast, friendly and cost-effective options for every service request. Our engineers are always waiting. We value customer satisfaction, and many of our clients have returned to us. We have built and solidified our reputation as a reliable and professional service entity. We have outstanding reviews, and our client base keeps growing. As a reputable boiler and central heating service company, we take pride in our in-depth industry knowledge. We are pioneers, and we are familiar with revolutionary boiler technologies. We are conversant with all brands and models. Our Gas Safe accredited experts will, on short notice, come to your location and provide effective solutions within 30 minutes. We source appropriate parts from leading manufacturers and brands. Eco Efficient Chester is your perfect partner whenever you want emergency boiler and heating system solutions. We are keen about precision, quality workmanship and we observe the highest standards of safety and compliance. Call us; we will take care of your boiler and heating needs now!